A few months ago I featured the incredibly talented Vy for my 'What Drives You?' series which you guys seemed to really love (she's such a babe too, right!?) 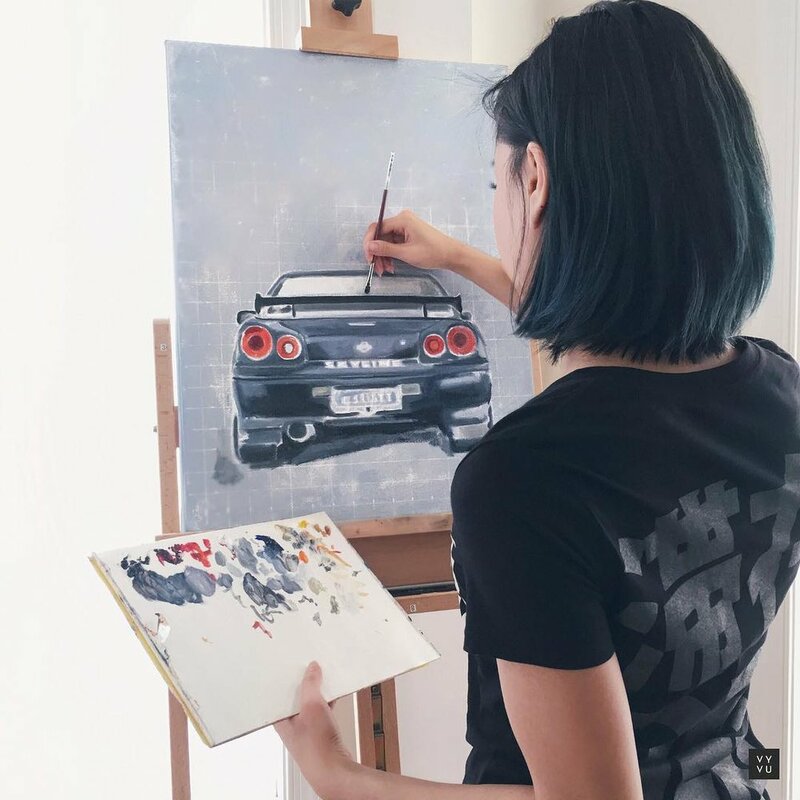 and today I am featuring the most amazing artwork that she painted of my R34!